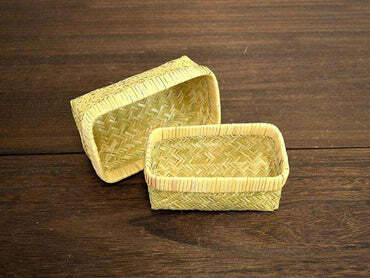 "Suzumimi" is thin like a paper, and is a tin (tin) container that can be freely bent by hand. In the area of ​​Toyama Prefecture · Takaoka famous for making castings of traditional crafts A forge craftmaker who makes "tempura" "amen" uses the skill of his skill, I tried it carefully with a hammer and made it one by one. Thin and light "tin garbage". Even though it is a metal, as if folding origami, You can easily bend without putting strength. Fold four corners as a dish, fold only one corner as a chopstick rest. Depending on the size, a flat plate, a small dish, a dish, a confection dish etc. 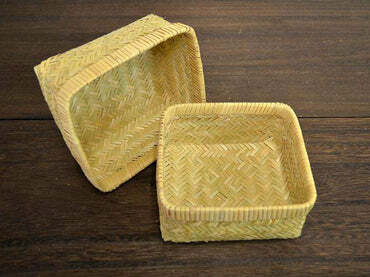 You can use it for various purposes as tableware. This is 18 cm × 18 cm size, 鎚 eyes pattern "Kana no" will be the product. "This is" Suzumi "was born newly from this" kicking with gold "technology. 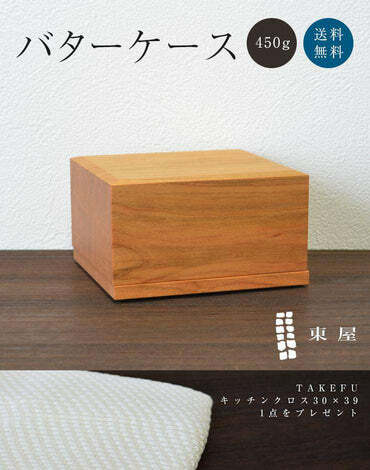 Using skilled craftsmen's skill cultivated by "Ohin" making, "Takaoka, it seems like a forge craftsman, and makes a new product that can be used in life" That idea is the source of "Suzumami" birth. 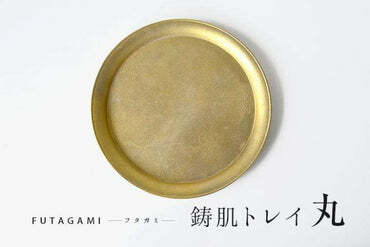 The product named "Suzumami", as its name suggests, can be bent freely as thin as paper It is a new tin made vessel. By tapping rolled, tin plate of only 0.7 mm repeatedly with gold, Not only can you attach a pattern, you can have strength to withstand repeated bending. Born from skilled skills cultivated through long years of manufacturing, It became a product unique to forged gold craftsmen. 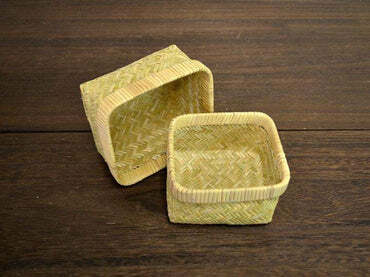 The tin plate rhythmically beaten by a skilled craftman is made of fibrous metal layers overlapping in multiple layers, The degree of metal fatigue by folding is decreasing. "Suzumami" born by "tapping with golden" technology. The pleasure of using themselves is the pleasure of "Suzumami". Bend freely even though it is a metal, please enjoy a new feeling that extends with a sudden. Although it is a metal, it is a mysterious "Suzumi" that bends with a light power. After bending and folding and using it in the form of your preference, You can restore it if you extend it with a special "roll" etc. Then challenge again to make another form. It is attractive that you can use it while changing it as many times as you like. "Suzumami" can be used mainly as a plate, a vessel, a plate. 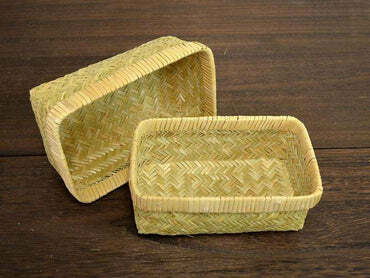 This size is perfect for placing appetizers, snacks, sweets, etc. Along with liquor, coffee etc, please take out at hospitality at the time of visiting. It is exactly the size to serve one dish. "Suzumimi" is perfect for gifts. Besides gifts such as birthdays and anniversaries, It is also recommended for new buildings, celebrations for moving or wedding gifts. "It's boring for common things ..." "I want to give you a bit of commitment" People looking for are very popular. "Suzumami" has five kinds of sizes in all, three patterns of eyebrows. From the list below you can choose your favorite one. Size: 18 × 18 (cm) Material: tin (rolled) Producing country: Japan (Shimatani Yuron Studio) ※ "Suzumami" is metal, but thin, very soft, please be careful handling.